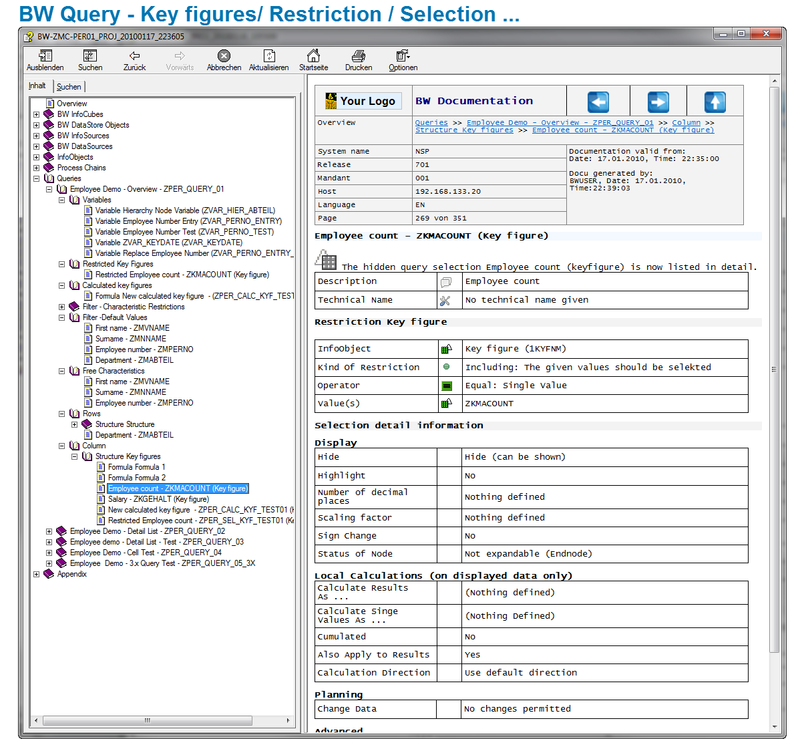 At a detailed level, the CT-BW Analyzer&Docu offers different perspectives of data collection through appropriate control and reporting functions. 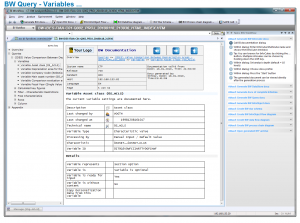 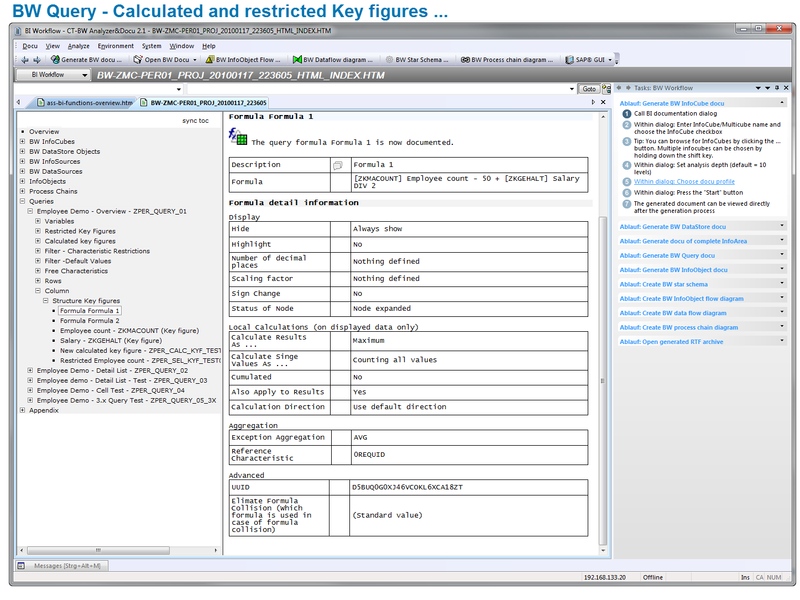 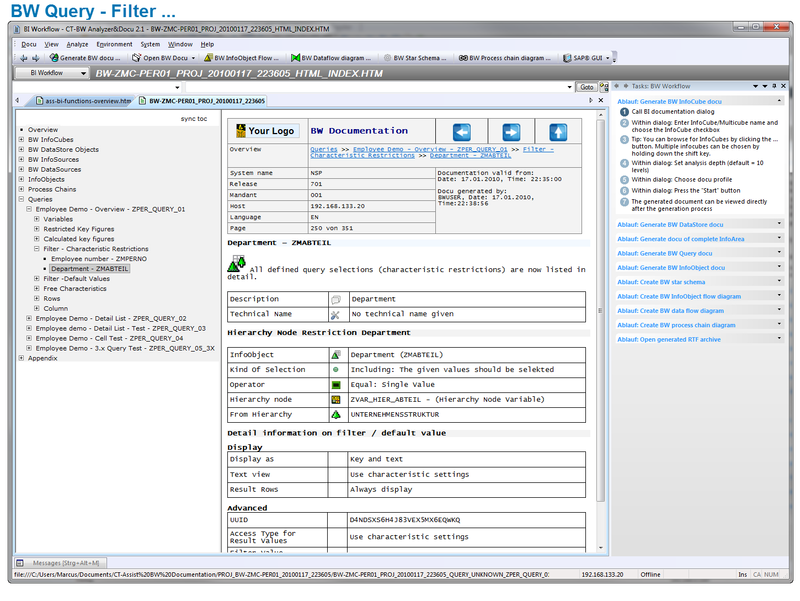 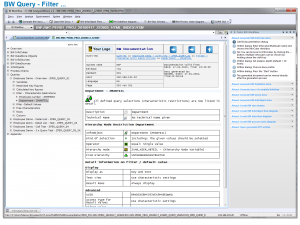 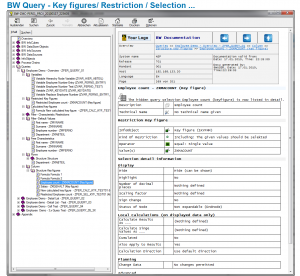 The single elements of the SAP® BW queries can be detailed, analyzed and documented. 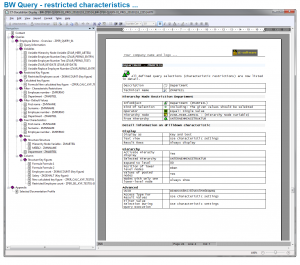 In the following we show you some BW Frontend Objects which are analyzed within the CT-AddOn. 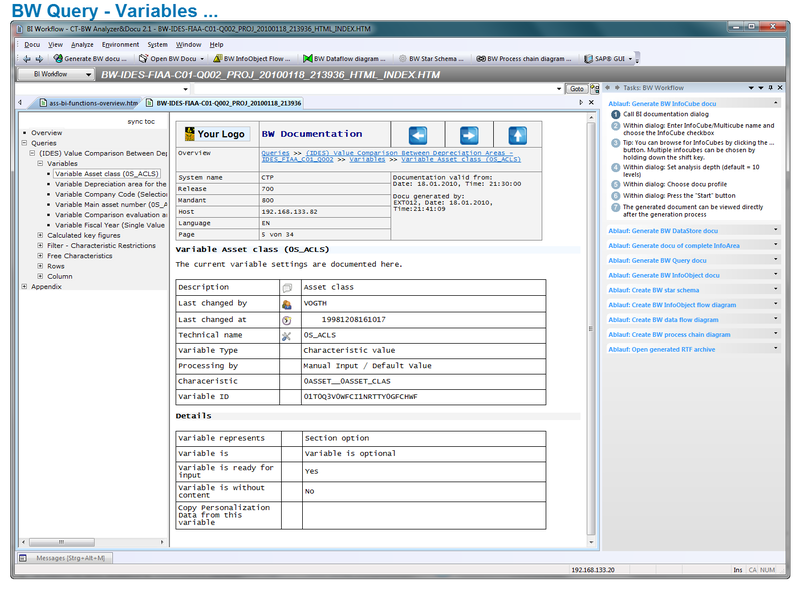 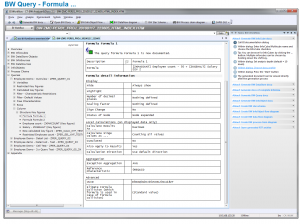 The analysis can be individually changed and follows the SAP® query builder semantic. 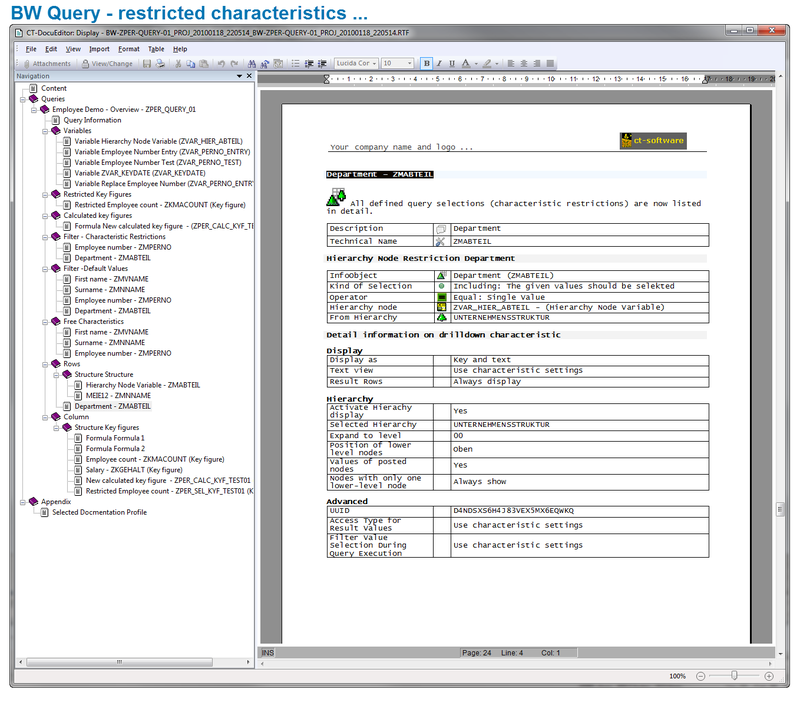 Please click on screenshots and links to get detailed information about each BW Frontend Object. 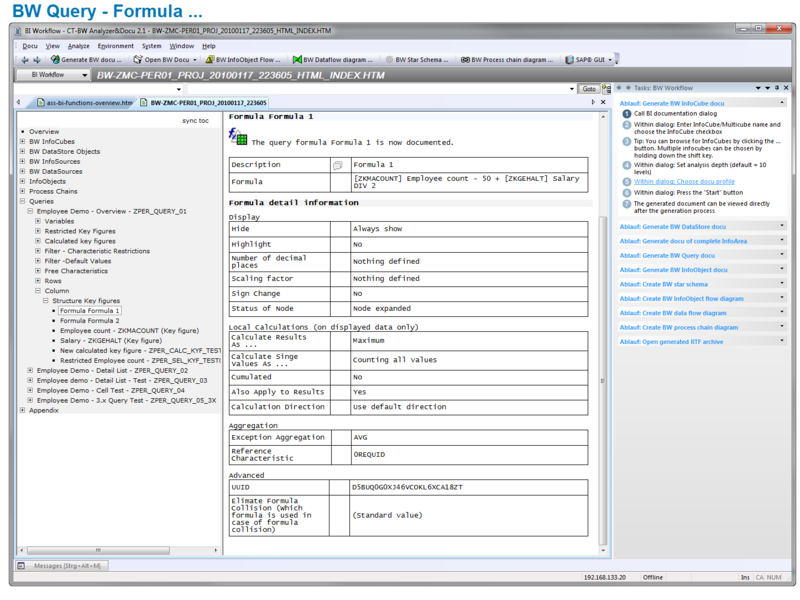 The definition of free characteristics, query rows, query columns, and cells are analyzed and displayed. 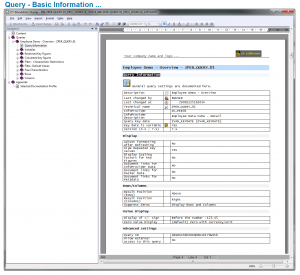 If these elements are part of a structure, this information is also documented . 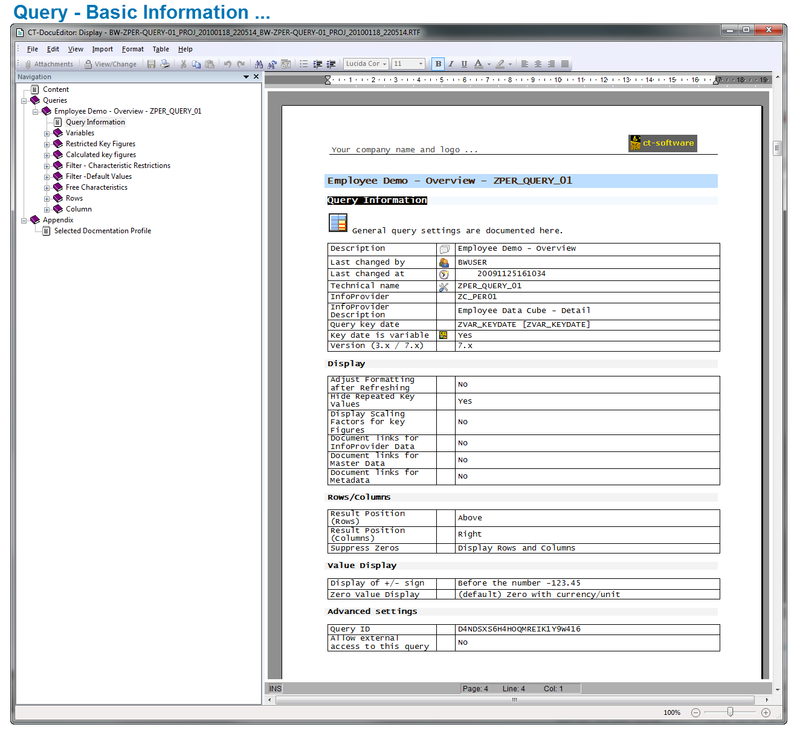 The next sections briefly shows the elements of query columns or query rows.